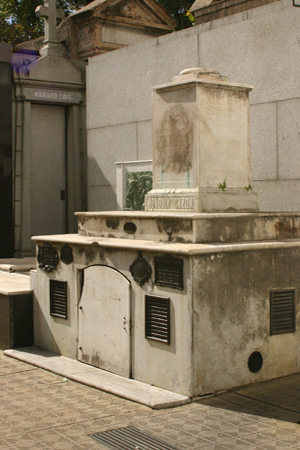 Unassuming & rather neglected, one of the founding fathers of Argentina lies inside. 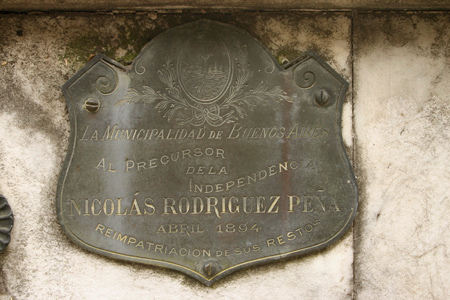 Nicolás Rodríguez Peña was born in 1775 in Buenos Aires & after a short stint in the military, he decided to go into the soap business with Hipólito Vieytes. 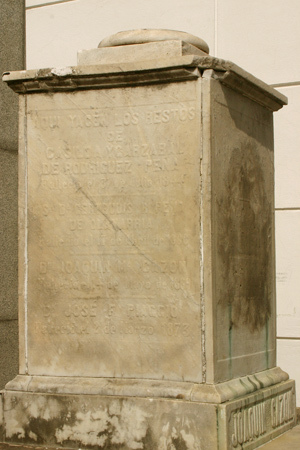 Vieytes & Rodríguez Peña turned out to share more just than commercial interests… they were responsible for gathering support to declare independence from Spain in 1810. Discreet meetings took place either in the soap factory or at the country estate of Rodríguez Peña. The early years after independence were rocky ones. In 1812, Rodríguez Peña formed part of a brief triumvirate government along with Juan José Paso & Antonio Álvarez Jonte. 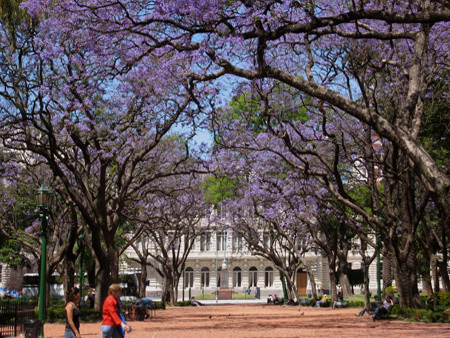 But factions came & went, & so did Rodríguez Peña’s influence in Buenos Aires. Eventually caught on the wrong side, he chose to join San Martín in ousting the Spanish from Chile & remained there after the decisive battle in Chacabuco. 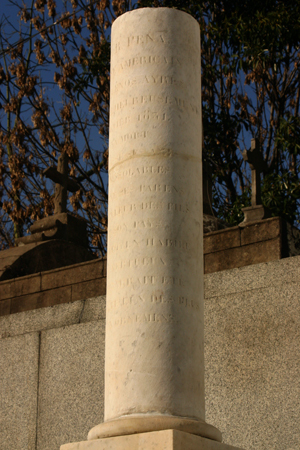 Spending 37 years away from Argentina, Rodríguez Peña died in Santiago de Chile in 1853. Robert, I’m afraid you made a mistake. I thinkthat the Jabonería de Vieytes was located on 9 de Julio & Venezuela..
Hey – I never said it was… check the text again. I refer only to the Rodríguez Peña estate, not to the soap factory. Meetings were held in both places.